In the wake of the Asian financial crisis that erupted in 1997, an intense scrutiny of the principles and standards of the world's financial system was inevitable. 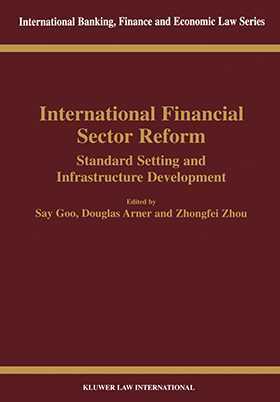 This new book, a major milestone in the progressive development of the new financial architecture arising from the debacle, represents the penetrating insight and practical proposals of twenty-five experts, including economists, lawyers, bankers, academics, and officials from international financial institutions. The important contributions offered here were originally presented at a series of conferences sponsored in 1999 and 2000 by the Asian Institute of International Financial Law of the University of Hong Kong in collaboration with leading law faculties from five continents. protection of emerging market economies.